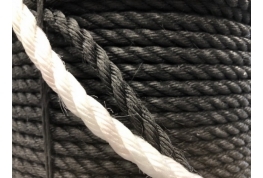 12 Strand construction with Geothane coating for improved abrasion resistance. Very high break load for size and very low stretch. Excellent UV protection as standard.